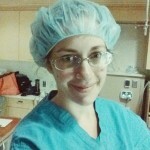 I see this question all the time: Why do I need a doula? I’ll have my midwife/partner/sister there. Won’t that be enough? As wonderful as midwives, partners, and sisters are, it can be really beneficial to add a doula to your birth team. 1. Counter Pressure, Counter Pressure, Counter Pressure! Counter pressure is one of the best tricks up a doula’s sleeve. 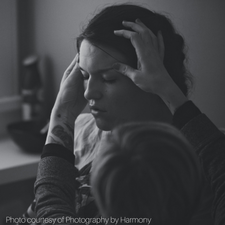 By applying direct and constant pressure to areas like the hips and the front of the knees, a doula can take the edge off those intense pressure waves. It’s amazing what this simple touch can do and how far it can go toward helping a birthing mother feel more comfortable. Doulas know all the right places to apply this magical pressure. A doula also brings a whole arsenal of encouraging words to shoot down discouragement and increase the positive energy surrounding a birthing mother. In this vulnerable space, mothers are often eager to hear things like, “Your baby is coming to you,” “You are doing so well,” “You look beautiful,” and “Not much longer now.” Often, a mother tunes into her doula’s voice and can hear these words loud and clear over whatever else might be happening around her. Your doula is the one person in your birthing room whose one and only focus is YOU and YOUR COMFORT. She doesn’t have to worry about performing exams or charting medical notes. And even though the baby you just birthed is precious beyond measure and everyone is busy weighing and measuring your new little love, your doula will stay by your side as you work to birth the placenta. 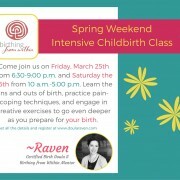 Her one goal is to work with you to create an ideal birthing environment and she answers to you alone. She truly has your best interest at heart and is dedicated to you. Your doula will be with you from the moment you call her to your side until you and baby are stable and enjoying getting to know one another. She doesn’t have any other clients down the hall that she needs to attend to. This continuous physical and emotional support is so critical to helping mothers feel safe and confident and this is tremendously important. Can I be honest with you? I think it’s a little unfair to expect that your partner will be able to provide the same kind of educated, experienced, and continuous care that a doula can provide. Your partner is so emotionally invested in what is happening, to expect that they will be able to pull back from that emotional involvement and remember to ask all the right questions, provide the perfect amount of counter pressure, support your emotional needs, and defend your birthing preferences is asking an awful lot of them! Does it work well to have your partner work as your doula? Sometimes. But it doesn’t have to be an and/or equation–I can either have my partner’s support OR my doula’s support. 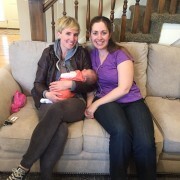 One of the wonderful things about a doula is that she will show your partner how to help you. She will remind them that you were hoping to delay the cord clamping, put their hands on the perfect spot on your hips, and make sure they eat and take care of themselves. This all helps your partner feel involved and supportive and keeps them from feeling completely overwhelmed. Your doula is the one person that really understands your birth preferences. You’ve discussed them with her at length, she has a copy of your requests, and she has memorized them. This means that when your midwife or doctor says they’d like to start you on Pitocin, your doula can turn to you and say, “I remember that you were hoping to try breaking your waters to get labor going before they decided to start Pitocin. How do you feel about starting Pitocin right now?” This reminds you of the goals you made when you weren’t in the throws of labor and gives you a moment to consider your options. If a new option is presented, your doula will remind you of the pros and cons associated with this option. All of this reminding and explaining means that you will make informed choices–the kind of choices that you will feel good about after the birth. Knowing that she made informed choices helps a mother look back at her birth (whether unmedicated, an epidural birth, or a c-section) with satisfaction knowing she made the best choices for the health of herself and her baby. Your doula’s experience and studies have taught her that there are many many ways to labor and give birth. She will be able to guide you through all sort of different positions to help labor move along and help you work with your surges. Whether it’s slow dancing, leaning over a birth ball, getting on hands and knees, or squatting, your doula will be prepared with suggestions and ideas to make the most of those powerful rushes. What do you get when you combine natural comfort measures, emotional support, continuous care, supported partners, and educated decisions? Improved birth outcomes. Studies show that working with a doula can decrease your chances of getting Pitocin by 30%, decrease your chances of getting a c-section by 28% (with some studies reporting this as high as 60% and 80% depending on the situation! ), decrease the chances that your baby will need special care after birth, and improve the likelihood that you will satisfied with your birthing experience. These numbers are important and meaningful. So, there you have it. After reading all that, wouldn’t you agree that you need a doula?